17th September 2015 - Taipei, Taiwan - Introducing the B150M Night Elf and Z170I Gaming Pro AC. A great gaming rig doesn't have to be large anymore. 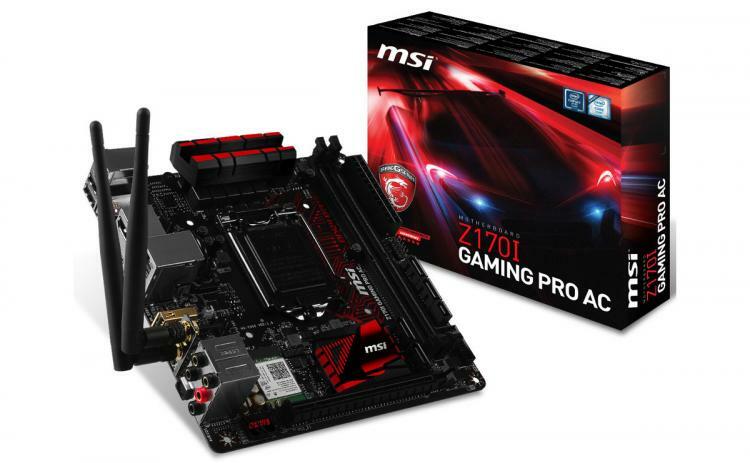 The Z170I GAMING PRO AC is the next-generation ITX GAMING model featuring Wi-Fi AC while the B150M NIGHT ELF motherboard is the unique mATX GAMING choice featuring an imprinted NO.1 IN GAMING RED LED highlight to add style to gaming. The new B150M NIGHT ELF and Z170I GAMING PRO AC motherboards are the perfect foundation for a portable yet powerful system. MSI managed to pack the most advanced gaming features into these small sized powerhouses, ideal for gamers on the go. The B150M NIGHT ELF has gaming in its looks but also in its DNA. This Micro-ATX motherboard is based on the Intel B150 chipset supporting 6th Gen Intel Core processors for LGA1151, combined with four DDR4 memory slots. DDR4 Boost technology provides maximum stability and compatibility while also improving memory performance. No more broken PCI-Express slots because of heavy high-end graphics cards, the Steel Armor reinforced slot can handle even the most extreme models. MSI Gaming LAN ensures lagfree gaming by automatically prioritizing games above other applications. The motherboard is also equipped with Audio Boost 3 technology for studio grade sound quality using an EMI-shielded HD audio processor and an isolated PCB for crystal clear audio. The red LED illumination makes the Night Elf a real eye-catcher in any gaming system. When looking for an even smaller form factor gaming solution, the new Z170I GAMING PRO AC motherboard is the perfect choice. 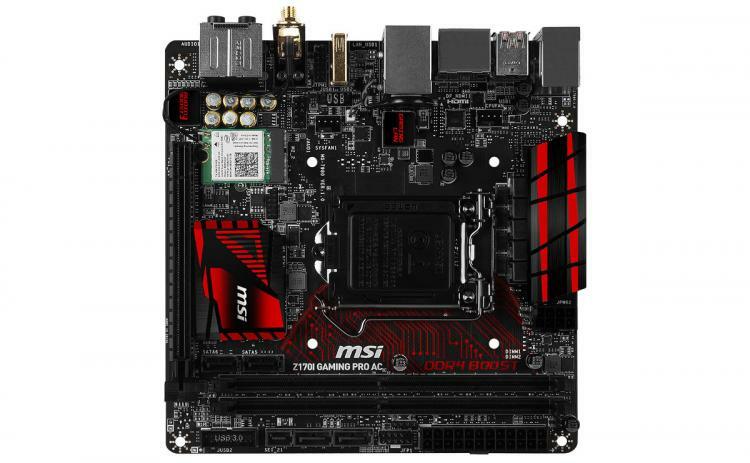 This full-featured Mini-ITX motherboard supports 6th Gen Intel Core processors for LGA1151 and comes with all the powerful features of the Intel Z170 chipset. 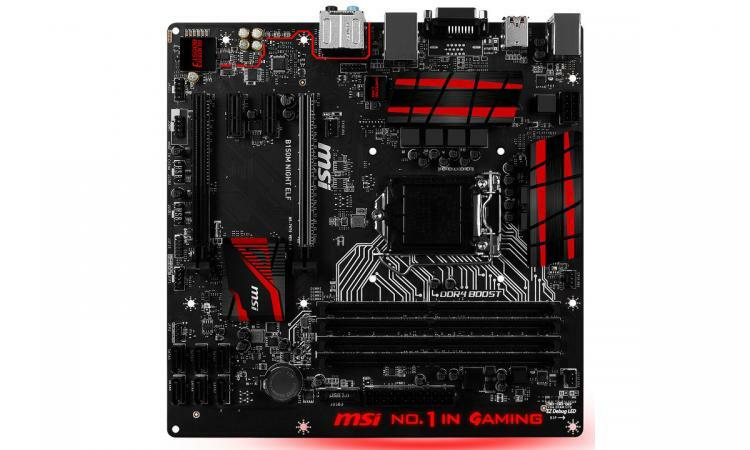 By clever use of the back of the motherboard, the Z170I GAMING PRO AC is equipped with both SATA Express and Turbo M.2 for blazing fast storage solutions with speeds up to 32 Gb/s. MSI even managed to add dual-antenna Intel Wi-Fi next to MSI GAMING LAN, supporting the newest 802.11 AC wireless standard which is capable of speeds up to 867 Mbps. The board is also great for multi-media applications thanks to DPC Latency Tuner, a convenient tool that helps you to optimize your PC settings to get a smooth audio/video playback and a fast responding system. USB Audio Power PRO delivers stable 5V power to a gold plated USB port to get the maximum performance out of your USB audio devices. The breathtaking audio solution for gamers with an isolated audio PCB and high quality audio caps. MSI AUDIO BOOST rewards your ears with studio grade sound quality. MSI GAMING LAN makes you dominate online games while lowering latency. Featuring MSI GAMING LAN Manager to let you prioritize games traffic above other applications. Gaming Hotkey enables more functionality using your own keyboard. Simply assign macros to any key and launch your favorite games, load overclocking profiles or do real-time overclocking with the push of a single button. The possibilities are endless! 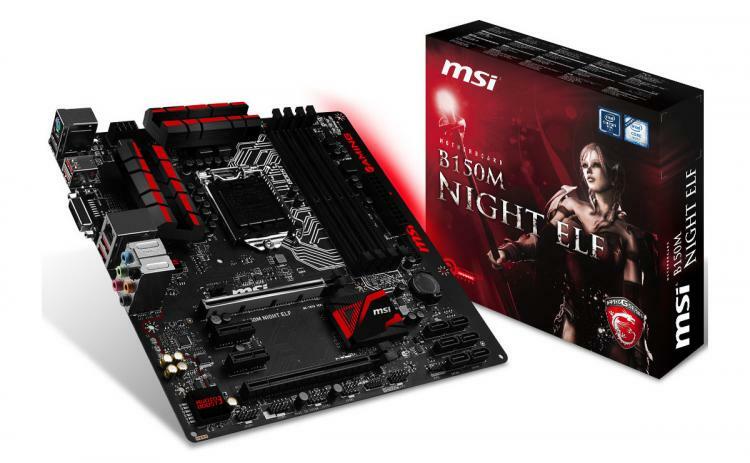 For more information visit the B150M Night Elf and Z170I Gaming Pro AC product pages.